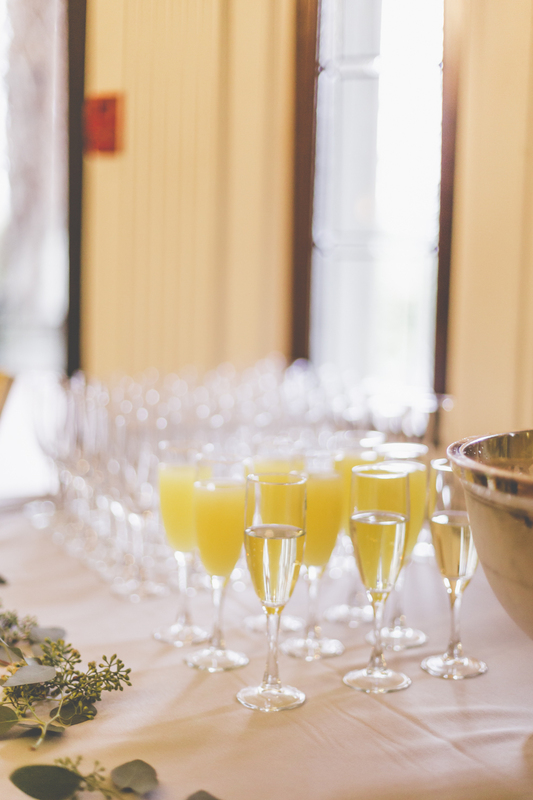 This event is one of the most precious event's we've had the pleasure of planning... 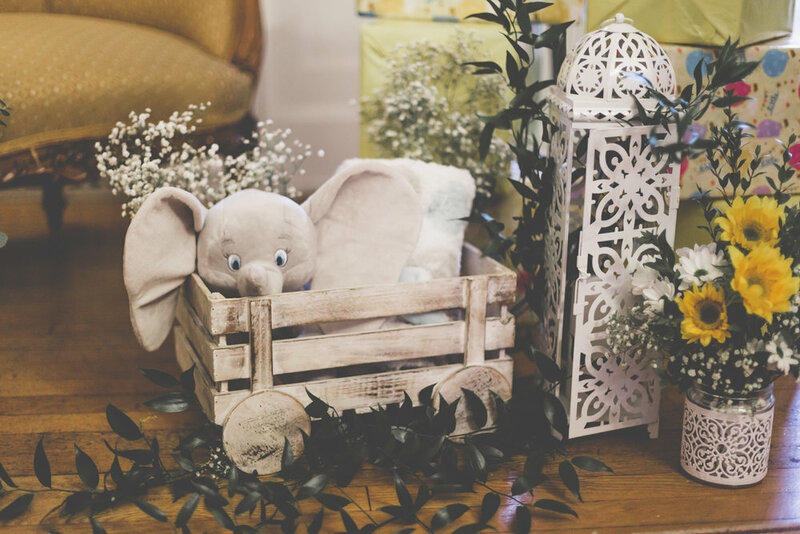 The Soirée Company's founder, Kim Trehan's baby shower. 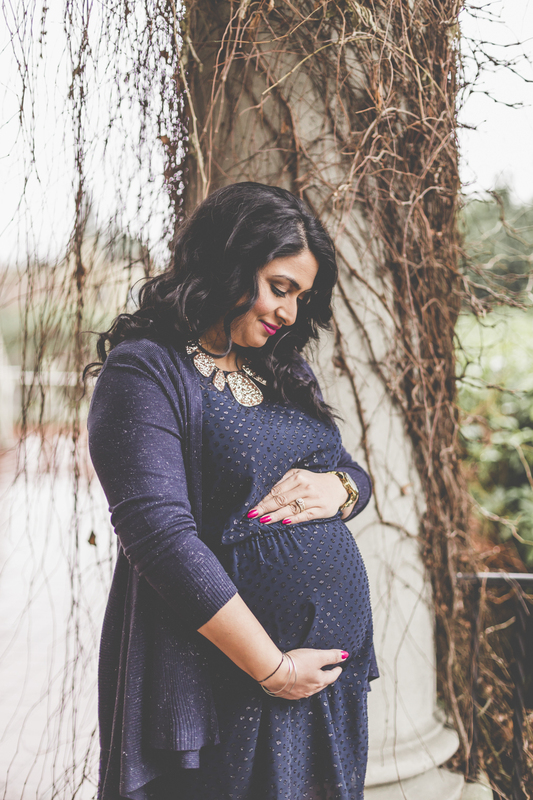 Her real name is Kanwalpreet and she's called Kamo by her loved ones so we titled this one Kamo's Baby Shower. For those who know her, Kamo's style is a mix of Bollywood + Paris + New York so her family had a challenge in terms of creating the perfect design and day for Kamo. As they wanted to make this a gender reveal party as well, the colors had to be gender neutral. We chose yellow, grey and gold as our colours. No details were spared! Little baby carriages were ordered to hold mint and yellow favour bags had blue loofahs (as the bags would be handed out after the reveal of a little baby boy on the way) and of course, Kernel's Popcorn. An area for photos was setup at the entrance to double as a welcome and a neat place for the ladies to take pictures. 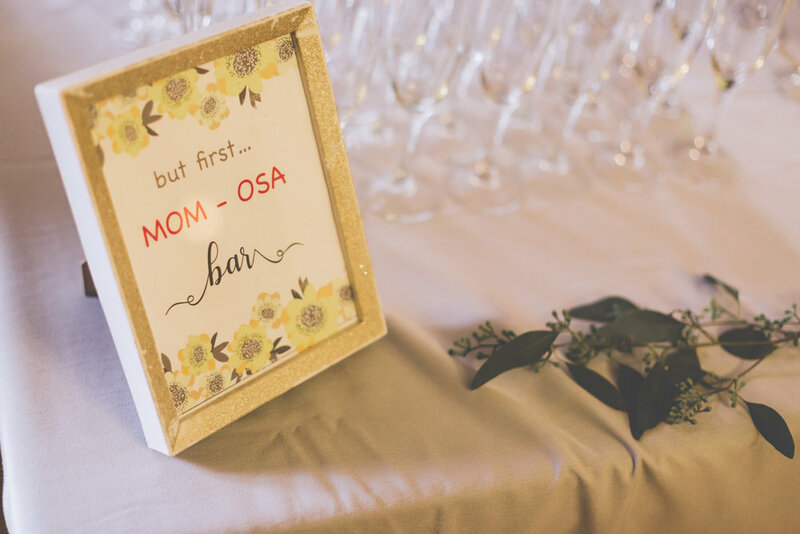 A Mom-osa bar of virgin mimosa's was also setup at the front of the room. Inside, we had long tables decorated with floral runners and vases. 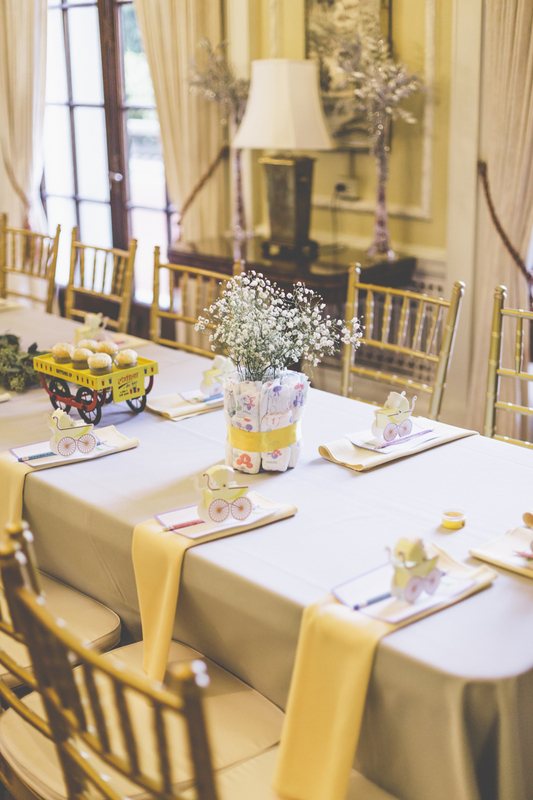 The vases were decorated with diapers and yellow ribbon and placed baby's breath in each vase. Then we had food and cake. 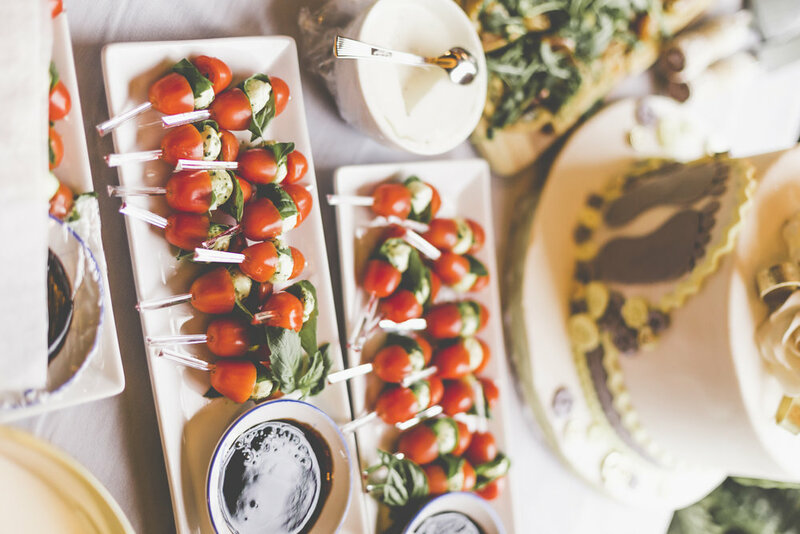 Kamo's favourite food items, including Gol Gappes and Papdi Chaat (Indian street food) were ordered as well as an array of flavourful items from Emelle's catering. Our friends at ShowShaa were kind enough to lend us their Gol Gappa serving trays. Thank you guys!! 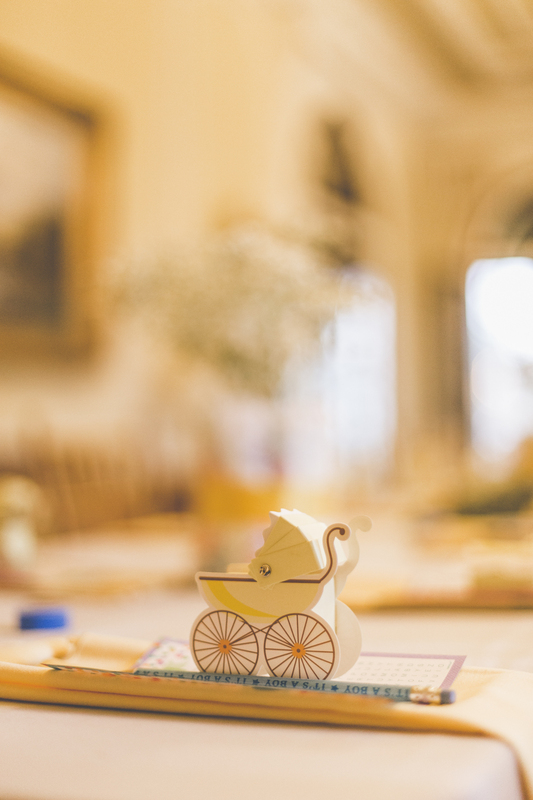 Have a baby shower you'd like to plan? Contact us and let us know how we can help you!